HHN Hollywood sticks to its formula of cinematic themed mazes with a lineup featuring some of the most popular horror movies and TV series. For 2018 there’s the unexplained and ghostly phenomenon in the “Stranger Things”, “Poltergeist” and “The Horrors of Blumhouse” mazes. Killers, slashers, and creeps in the “The First Purge”, “Halloween 4”, and “Trick r’ Treat” mazes. 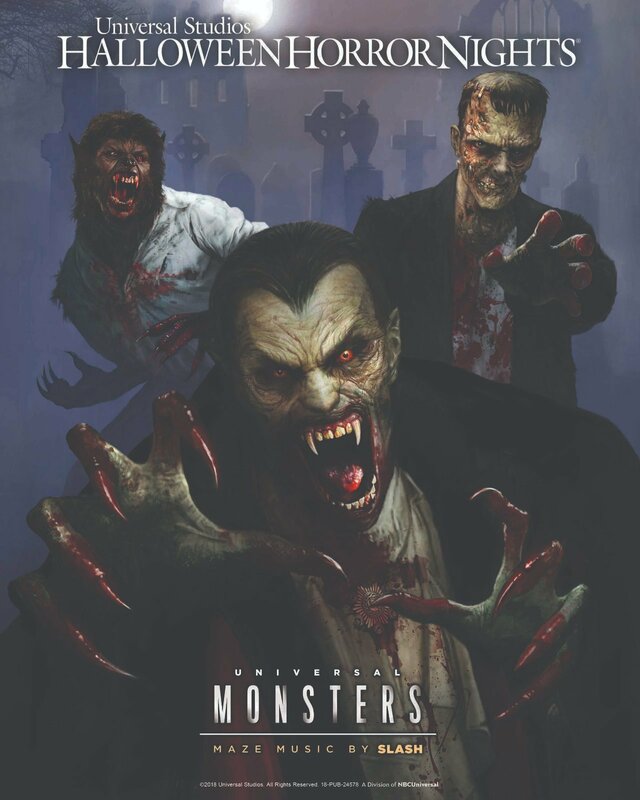 You’ll also come face to face with some of horror’s top movie icons in the incredibly fantastic “Universal Monsters” maze. 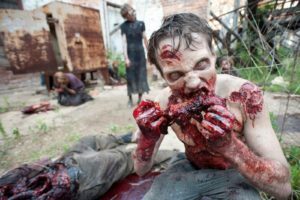 Plus, the tried and true HHN attractions like “The Walking Dead” walk-through attraction, “Terror Tram”, and a few miscellaneous scare zones try their best to also thrill guests. HHN is still one of our top Theme Park haunts in SoCal and we continue to rank their mazes highest in overall design, theme, and scare factor. However, the redundancy and predictability are starting to become apparent to those of us who go every year. The pacing and design of all the mazes have become cookie cutter with very little variation in how they’re staged. While there are some great scares, the impact is minimized when the same tactics are used year after year, maze after maze. This year there also was the increased over reliance on the black curtain transition rooms where a scareactor pops out of the darkness in nearly every maze. The question we keep asking ourselves as the years go by is how can HHN be further enhanced to raise the bar and stay ahead of the haunt curve, which they’ve set themselves? Should they remain locked into producing mazes solely tied to movie and TV franchises? By all means, HHN is still a great time but as the years go on we fear that they may be painting themselves into a bloody corner with limited originality. We know the team is creative enough to come up with a least a few new tricks every year to keep the HHN experience fresh. Having experienced HHN at Universal Orlando where they have a few unique mazes every year, we think if Hollywood included more original themes into their mix then they would have the perfect collection of mazes in one park. Plus with the successful launch of Warner Bros.’ own studio Haunt right down the street, which owns and now features big horror IPs such as The Conjuring, Pennywise (IT), Freddy, and Jason, Universal will need to do some more updating and diversifying to remain the top ‘final girl’ of Theme Park Haunts. The overall park experience at HNN is as good as ever. They’ve improved on the operations and the staff was generally helpful. The layout of the park is still unwieldy with the mile-long walk, each way, from the front gate to the mazes at the bottom of the studio lot but we guess there’s no real way they can change that. It would be great if they would open up the Wizarding World of Harry Potter section to disperse more of the crowds on the upper lot. 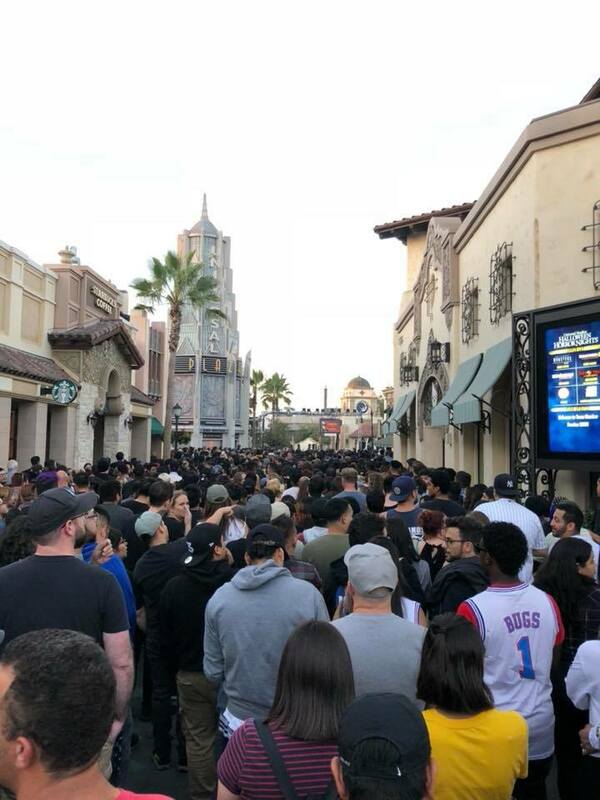 The early entry option is a must for those who purchase general admission as it allows you time to get through all the mazes with significantly reduced wait times. We used it and were able to go through a couple of the mazes twice which was a great bonus. We wished they had an option where you could buy a one-time one maze front of the line pass. It may not be practical but after getting through all the lower lot mazes and then having to wait over an hour for the upper lot mazes it was something we wished we had at the end of the night. Now, on to our maze reviews featuring videos from our friends at ThemeParkHD! Take a special behind the scenes tour of the Halloween 4 maze at Universal’s 2018 Halloween Horror Nights in Hollywood with HHN creative director John Murdy, Trancas Films’ Malek Akkad and Halloween 4 director Dwight Little. 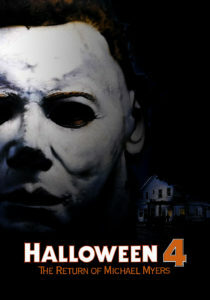 Last week a few leaks revealed that Halloween 4 will be coming to HHN in Orlando and Hollywood. 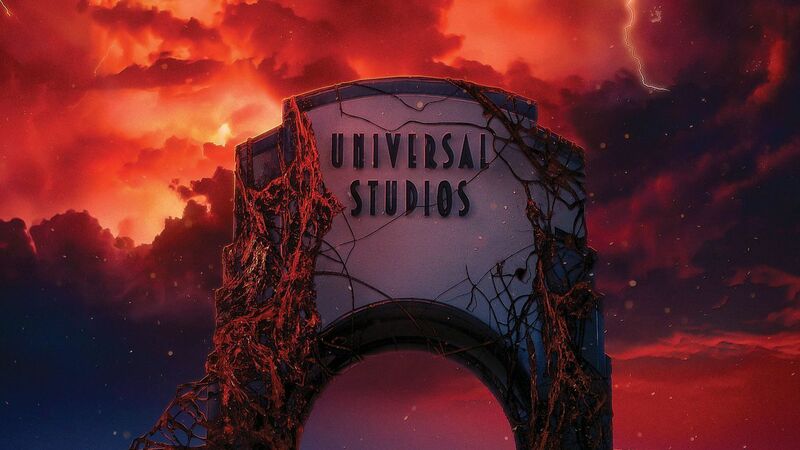 Today Universal confirmed the rumors and provided a detailed overview of what victims… guest can expect to happen inside their latest Halloween maze. Previously, both HHN events have had mazes based on the original Halloween and Halloween II. Hollywood also had a Life and Crimes of Michael Myers maze back in 2009 that featured some of his most iconic kills from the first few movies in the series including the bandaged wrapped Michael from Halloween 4. As the title suggests, Halloween 4 features the return of Michael Myers to the film series revealing that Michael survived the fire in Halloween II but has been in a coma since that night. While being transferred back to Smith’s Grove, Michael comes out of his coma and overhears that Laurie Strode, who died in a car accident, has a daughter. Michael escapes the transport and heads to Haddonfield in search of his niece, Jamie. Fellow survivor Dr. Loomis also goes to Haddonfield after learning that Michael has escaped again and must reconvince everyone that the evil has returned. After slicing his way through more police, trick or treaters and horny teens the town residents rally to turn the tables and hunt down Michael. There are a few scenes from this movie that could provide some good scares such as the scene where a bunch of teens dress up as Michael and surround Dr. Loomis and the cops as a prank only for it to be revealed that Michael was really amongst the group of masked hoodlums. Halloween 4 should make for a fun maze and is a fitting title as this is the 4th time HHN (Hollywood) is featuring a Michael Myers in a maze. We still think it’s a little strange that they’re not doing haunts based on the upcoming movie. Perhaps we’ll get twice the Michael Myers at HHN (Hollywood) with an appearance of the Halloween 2018 old man Myers in the rumored Blumhouse of Horrors: Chapter II maze. 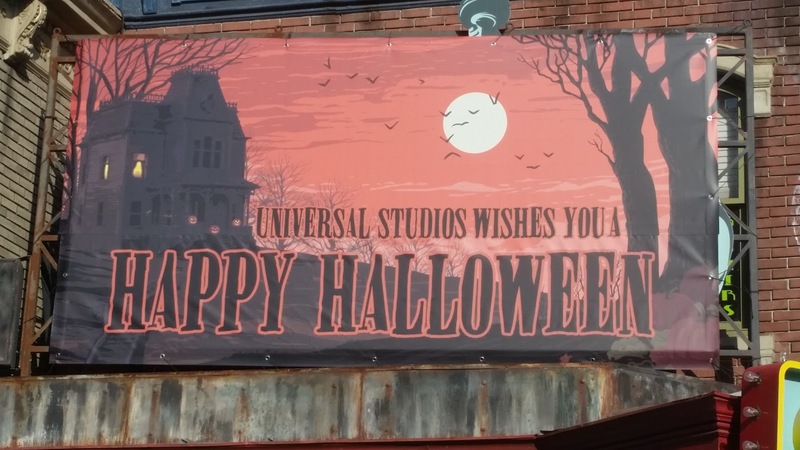 UNIVERSAL CITY, Calif., ORLANDO, Fla. (August 14, 2018) – Beginning on Friday, September 14, Halloween 4: The Return of Michael Myers, from Trancas International Films, takes a stab at Universal Studios’ Halloween Horror Nights, bringing the notorious slasher to Universal Studios Hollywood and Universal Orlando Resort in all-new mazes inspired by the iconic horror film. Universal Studios’ Halloween Horror Nights is the ultimate Halloween event. For more than 25 years, guests from around the world have visited Halloween Horror Nights in Hollywood and Orlando to become victims inside their own horror film. Multiple movie-quality mazes based on iconic horror television shows, films, and original stories come to life season after season. And, the streets of each coast’s event are transformed into highly-themed scare zones where menacing scare-actors lunge from every darkened corner. ScareLA returns this weekend with a brand new creative direction and theme. ScareLA continues to push the envelope of the horror genre and deliver on the ultimate fan experience. The con’s new format is an exciting departure into the world of themed entertainment and a first of its kind. Guests will explore the show floor in a low-lit environment immersed into the night of Halloween as soon as they cross the doorstep. 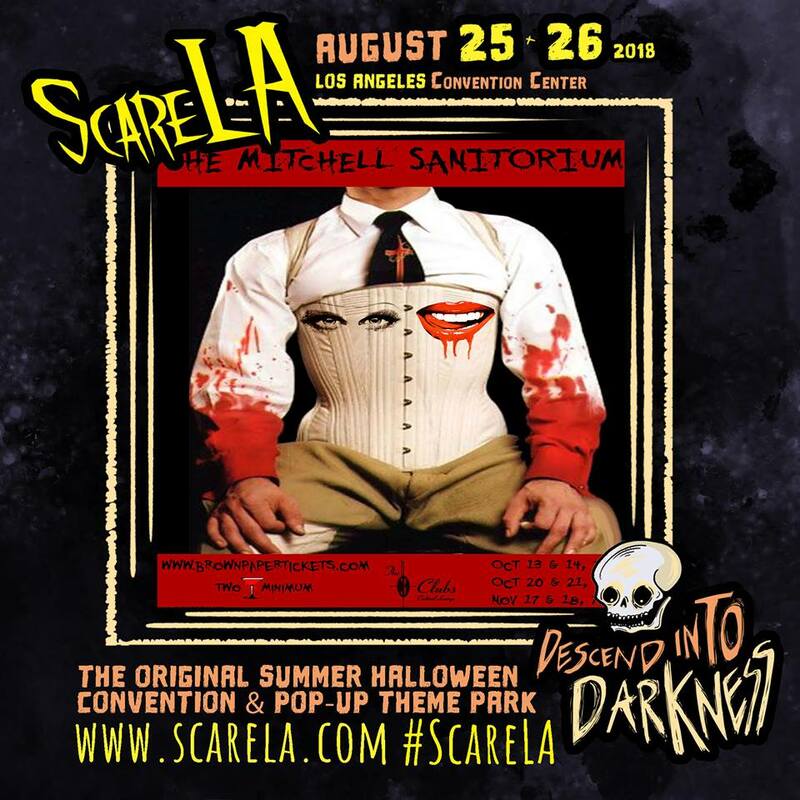 Established in 2012, ScareLA was the first fan convention dedicated to the Halloween season. The show has become known for its signature immersive and interactive format bringing together fans and famous from around the world to celebrate Halloween in the summer. This year ScareLA’s Founder and Executive Producer, Lora Ivanova, is taking her vision even further in a groundbreaking move to intensify the show’s experiential trademark. As ScareLA prepares to celebrate its sixth anniversary, it promises to do so with thrills and chills for all ages – from full size haunts, experiences, and rides to original activations, panels and attendance from leaders in the haunt and horror world. 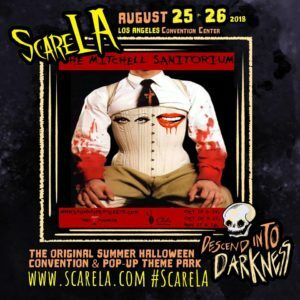 Situated in the heart of the entertainment capital of the world, ScareLA spotlights the rich Southern California scare industry and community, from its iconic seasonal theme park events, to haunted attractions, home haunts, theater, film, escape rooms, AR, VR, interactive experiences and much more. For more information visit www.scarela.com or follow ScareLA on social media at Facebook @ScareLAcon, Twitter and Instagram @scarelosangeles. Join the conversation using #ScareLA. All HHN Hollywood Mazes Revealed! When you run a website, you really have to be careful not to push that “Publish” button too early. Fortunately (for us), someone running the Halloween Horror Nights website had an itchy trigger finger and accidentally revealed the remaining four mazes in Hollywood, before the information was quickly taken down. But an observant reddit user was able to capture a screenshot, and now the world knows what horrors HHN fans will be experiencing in just a little more than a month! 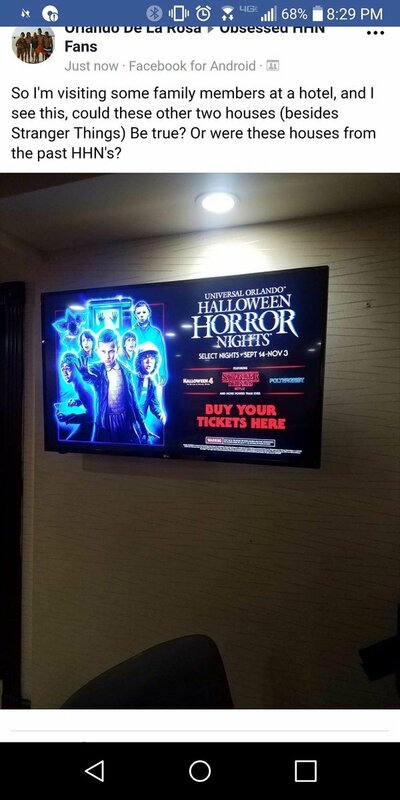 As we reported yesterday, Poltergeist and Halloween 4 appear to be slated for the Orlando “1980’s” lineup, and it seems like Hollywood is also getting versions of these mazes. 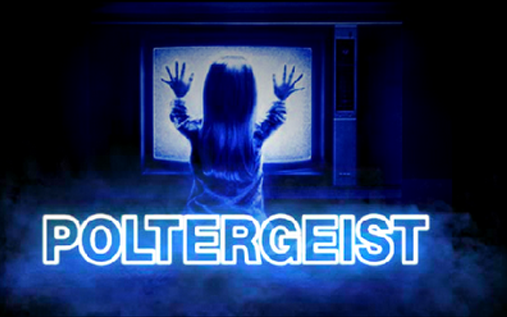 We’re incredibly excited about Poltergeist, as this movie haunted us as kids and made an entire generation terrified of clown dolls. Halloween 4 is a bit more random, but as serious Michael Myers fans, we’re not complaining. It remains to be seen what will be covered in Horrors of Blumhouse Chapter Two. Last year, this maze covered the movies The Purge, Sinister, and Happy Death Day. We assume all of these will be replaced by new Blumhouse movies. With the Purge getting its own maze this year, Horrors of Blumhouse might tap into Truth or Dare, Unfriended, The Belko Experiment, or maybe even the very popular Split. 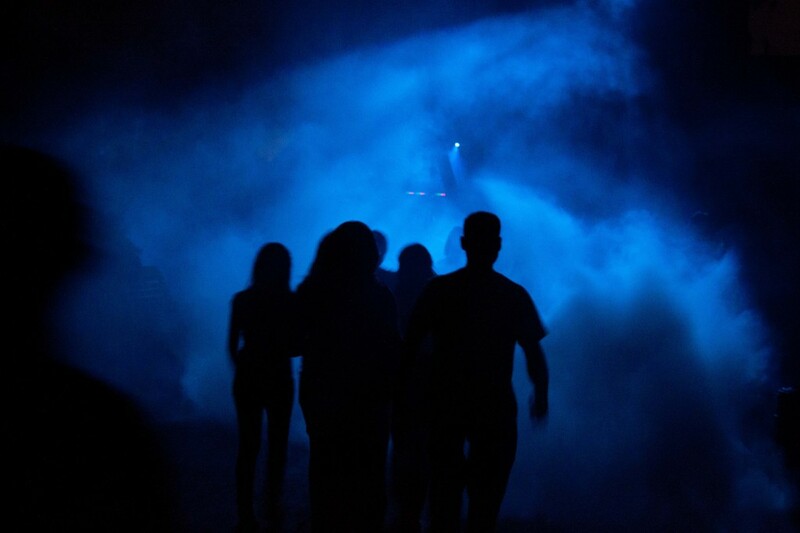 We expect to hear more about at least one of these mazes at Scare LA later this month, as John Murdy has promised an in-depth look at a new maze. Given the leaks, though, Universal might decide to announce all mazes sooner than later, and more details might be confirmed soon. What do you think of 2018’s HHN Hollywood lineup? Let us know in he comments or connect with us on Instagram, Twitter, or Facebook. HHN Orlando – They’re Here!? Rumors have been circulating after the recent leak of some HHN marketing materials online that houses based on Poltergeist and Halloween 4: The Return of Michael Myers will coming to HHN in Orlando. It’s also very likely that variations of the themes would also come to Hollywood. This year HHN seems to be focused on 80’s horror nostalgia with Stanger Things being the central IP thus making Poltergeist the perfect compliment to the lineup. For those of us who were fortunate enough to be around in the early 80’s, the original movie successfully tapped into the fears kids and adults carried with them during those times. These fears included child abduction as Caroline was sucked through the TV set into the “other side” away from her family. There also was familial dysfunction and displacement as the events of Caroline’s abduction led to the unraveling of the family unit with strained relationships and distrust emerging among the members. For kids, there are also the terrors of all the things that go bump in the night from monsters (and clowns) under the bed to the scary shadows of trees reflecting (and crashing) through our bedroom windows at night. For adults, the horrors of being vulnerable in moments of crisis, not having cable TV, and bad real estate investments also manifested in this successful, low gore but high scare movie. All the makings for a fun haunt. 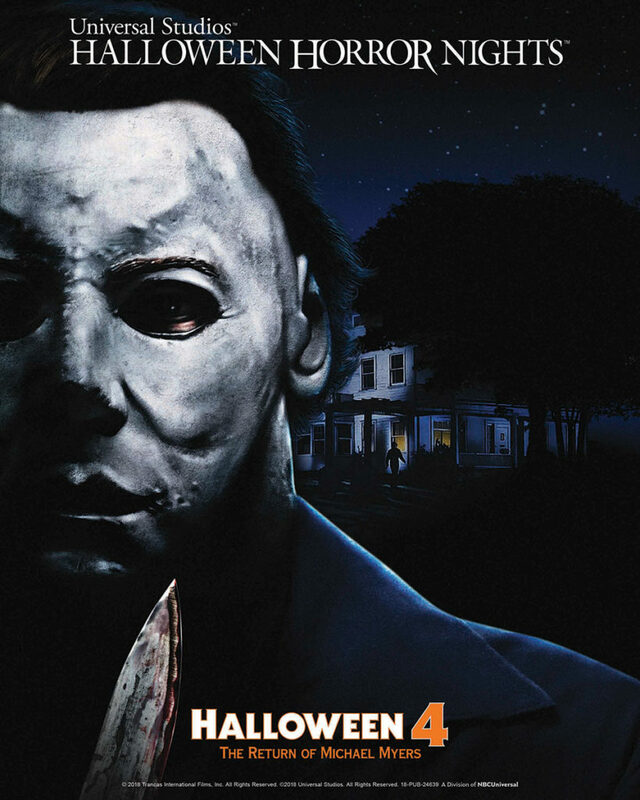 We are a little surprised about them going with the Halloween 4 theme as opposed to them using the story and settings from the upcoming Blumhouse reboot movie. Maybe in Orlando, they’re going through the entire movie series linearly so Halloween 4 would be the next story in the Michael Myers haunt saga. 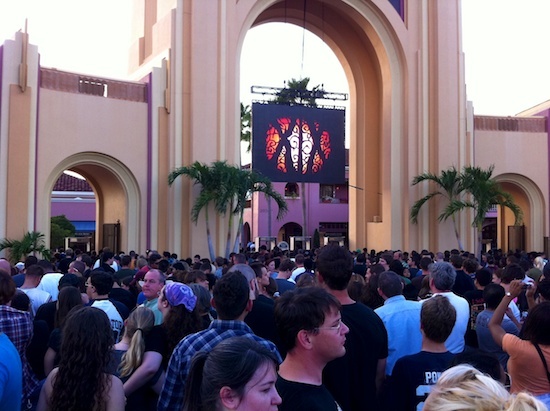 HHN Hollywood may still opt to go with the current movie theme if they also have a Halloween themed maze (we hope). As the title suggests, Halloween 4 features the return of Michael Myers to the film series revealing that Michael survived the fire in Halloween II but has been in a coma since that night. While being transferred back to Smith’s Grove, Michael comes out of his coma and overhears that Laurie Strode, who died in a car accident, has a daughter. Michael escapes the transport and heads to Haddonfield in search of his niece. Fellow survivor Dr. Loomis also goes to Haddonfield after learning that Michael has escaped again and must reconvince everyone that the evil has returned. 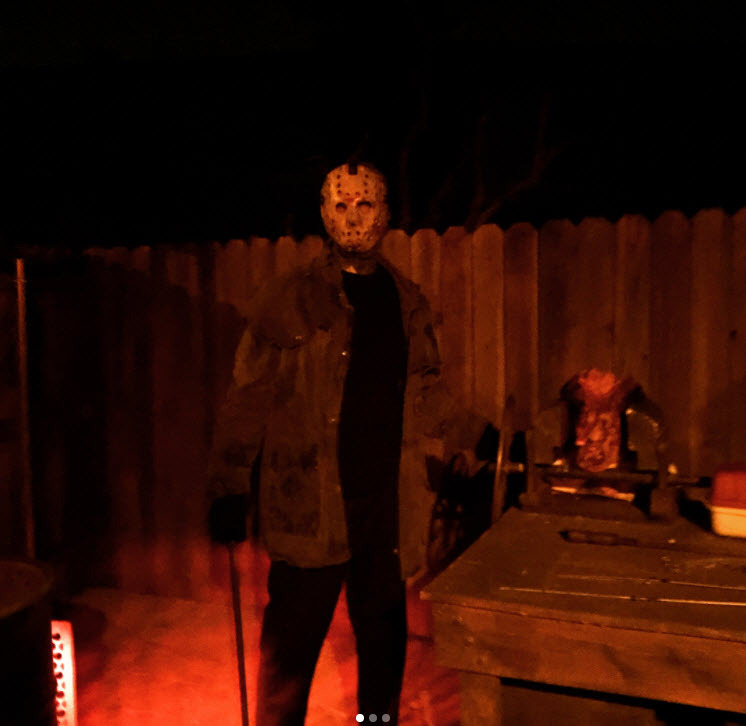 After slicing his way through more police, trick or treaters and horny teens the town residents rally to turn the tables and hunt down Michael. There are a few scenes from this movie that could provide some good scares such as the scene where a bunch of teens dress up as Michael and surround Dr. Loomis and the cops as a prank only for it to be revealed that Michael was really amongst the group of masked hoodlums. These are all interesting rumors and we’re still hoping that one day we can get mazes based on The Fog and The Funhouse! 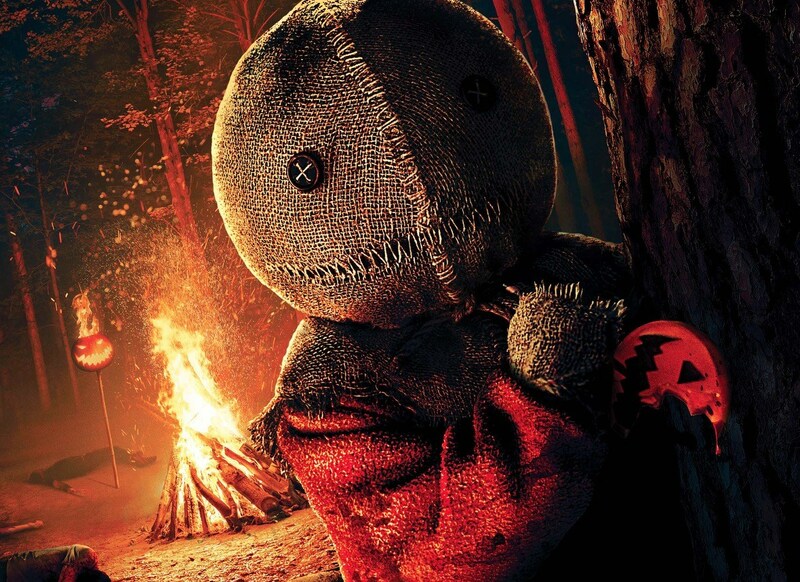 Ever since the movie Trick ‘r Treat came out in 2007, HHN fans have been desperately begging Universal to bring the cult Halloween classic to life. It’s one of the maze themes that is speculated, asked for, and discussed on #HHN social media every single year. 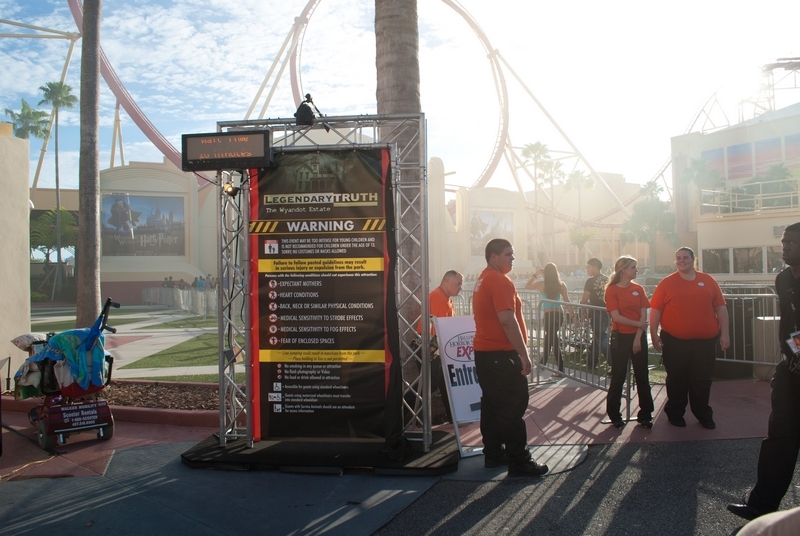 Last year, HHN Orlando featured a Trick ‘r Treat Scare Zone, which was considered to be one of the most popular. So after a successful test run, both Universal Orlando Resort and Universal Studios Hollywood will get complete Trick ‘r Treat mazes this year. For those who don’t know about the movie (why are you even on this site) Trick ‘r Treat is a 2007 anthology black comedy horror film written and directed by Michael Dougherty. The film centers on four Halloween-related horror stories. One common element that ties the stories together is the presence of Sam, a mysterious child trick-or-treater wearing shabby orange footie pajamas with a burlap sack over his head, who makes an appearance in all the stories whenever a character breaks Halloween traditions. He’s the keeper of the rules and the spirit of Halloween. He may look cute on the outside but you don’t want to get on his bad side… or the receiving end of his lollipop. This theme is a no-brainer for HHN and should provide for some fun traditional Halloween scares. It also will be a great compliment to the Halloween (Michael Myers) maze that we’re highly confident will be featured at HHN. 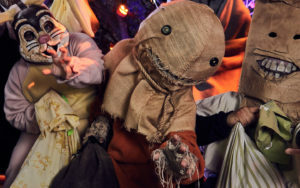 The Trick ‘r Treat maze will transport guests to Warren Valley, Ohio on Halloween night to celebrate the holiday’s dark traditions and daring them to live by the rules or suffer the consequences. Recreating some of the anthology’s most iconic scenes, the disturbing new maze invites brave thrill-seekers to become entwined within the secrets of this sleepy suburban town encountering all the grisly scenes and demented characters. They will meander through Mr. Kreeg’s infamous house, watch as college students viciously transform into bloodthirsty werewolves and dismember the town, as well as come face-to-face with Sam – the spirit of Halloween – who readies to punish those who break the holiday’s tradition. These guardians of Halloween will teach you the traditions of the holiday as you find out first hand the consequences of breaking those rules. With monsters around every turn, you need to pay attention…or suffer the ultimate fate. 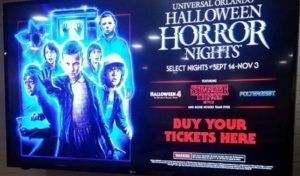 For Universal’s Halloween Horror Nights first announcement of 2018, “Stranger Things” will be making its maze/house debut at Halloween Horror Nights in Hollywood, Orlando, and Singapore. This should be an interesting new HHN experience as the series itself isn’t really scary (in our opinion) but the supernatural settings and creatures tied with 80’s nostalgia could make for some very cool maze designs. 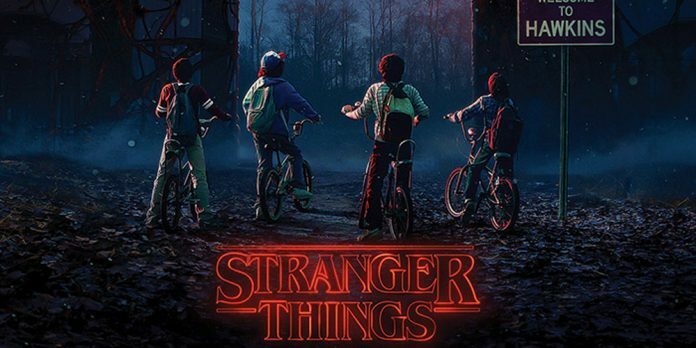 We’re not very surprised by this announcement as “Stranger Things” is currently one of the most popular Sci-Fi/Horror/Fantasy series and we wouldn’t expect Universal to pass up to the opportunity to capitalize on this hot property. It also offers the potential to be a returning maze in future years as more seasons come out, just like we’ve seen with American Horror Story and The Walking Dead (who seem like they will never die). Fans of Netflix’s ‘Stranger Things’ will be able to confront the supernatural and brave the “Upside Down” in these all-new HHN mazes. 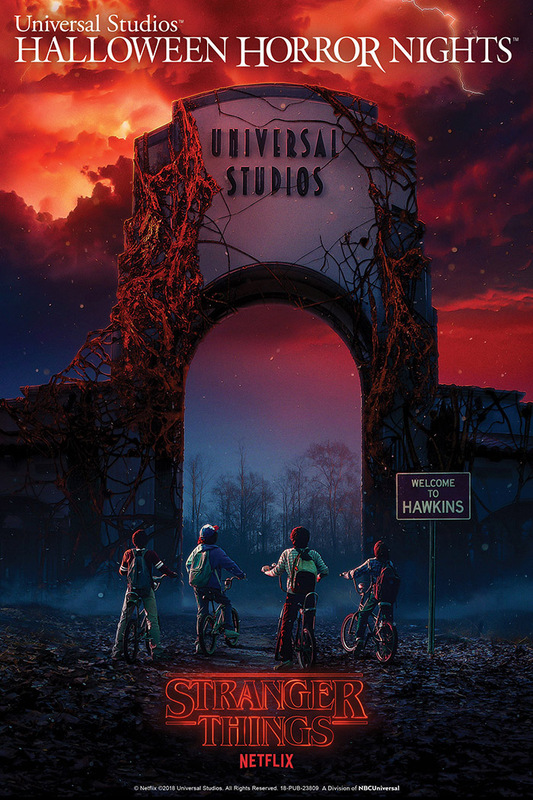 The Upside Down is a parallel universe that terrorized the small town of Hawkins, Indiana in the ‘Stranger Things.’ In these all-new mazes Halloween Horror Nights guests will encounter scenes and characters from ‘Stranger Things’ including the Demogorgon, a large flesh-eating creature with a mouth as a face that stalks the Upside Down and is unleashed by experimenters at Hawkins National Laboratory. The Horror Nights teams are working closely with Stranger Things creators Matt and Ross Duffer and producer Shawn Levy, who say they will authentically recreate the series’s first season storylines “from the menacing Hawkins National Laboratory under the U.S. Department of Energy, to the Byers home adorned with an erratic display of flashing Christmas lights, and the eerie Upside Down woods oozing a shower of floating orb-like spores”. The chilling new mazes promise surprising twists and unexpected turns around every corner. Halloween Horror Nights returns in September, only five months away! In the meanwhile, you can catch up or rewatch the first and second seasons of “Stranger Things” as you impatiently wait to venture into the Upside Down in real life and to watch the new third season, which doesn’t have an announced return date yet. Halloween Horror Nights (HHN) 2017 is fun, scary, and still the best haunt in town. 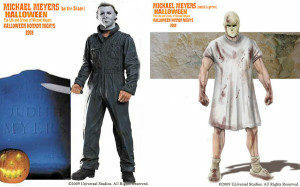 But is there a limit to how many different ways they can repackage Freddy, Jason, and Leatherface? In our HHN review last year, we wondered whether Universal was running out of different ways they could reuse the same properties and still sell their mazes as “new” experiences. Freddy, Jason, Michael Myers, Leatherface, Saw, the Walking Dead—all of these well-loved and familiar faces have made multiple appearances over the years. And these characters are some of our very favorites, too. But when would the tide turn and see HHN Hollywood bring back more original concepts, like HHN Orlando does? Well, the answer is not 2017. Once again, HHN Hollywood brought back fan favorites Jason, Freddy, and Leatherface and repackaged them as the “Titans of Terror,” this time combining their stories into a single maze and Terror Tram experience. Jigsaw returns to HHN for the third time in a “best of” maze featuring popular kill scenes (as well as some scenes from the new movie). Blumhouse has a huge returning presence in their mashup maze of three of their movies, as well as an additional standalone maze based on their next installment of the Insidious franchise. Ash vs. Evil Dead reprises some of the themes of the 2013 Evil Dead maze (although most is brand new.) And American Horror Story is back for a second year, in Roanoke form. The only brand new property we hadn’t seen before was Stanley Kubrick’s The Shining maze. Now, each of these mazes can definitely be considered “new.” But the properties are getting a little worn and predictable. In fact, we’re already predicting that 2018 will bring back Michael Myers, since he’ll be slashing up the screens in a new movie next October. 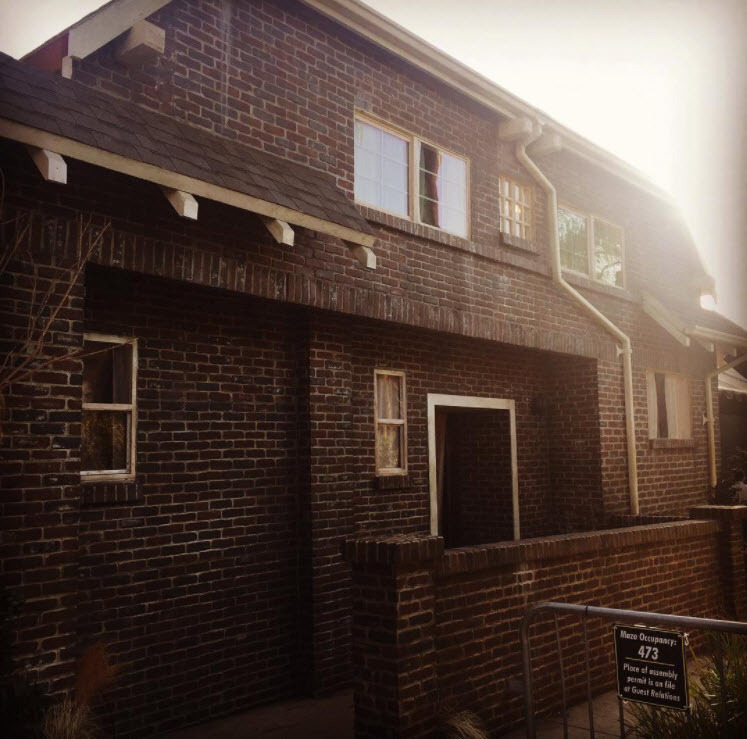 But if you’ve ever been lucky enough to experience HHN Orlando’s original concept houses, you know how amazing they are, and they usually blow the existing property houses out of the water. We got a glimpse of that in Hollywood with previous mazes such as La Llorona and El Cucuy. So each year, we hold our breath a little bit during the maze announcements in the hope that John Murdy will get a chance to put his amazing creative talent to use on a wholly original maze idea. Because we know what he can do when given the leeway, and it’s brilliant. 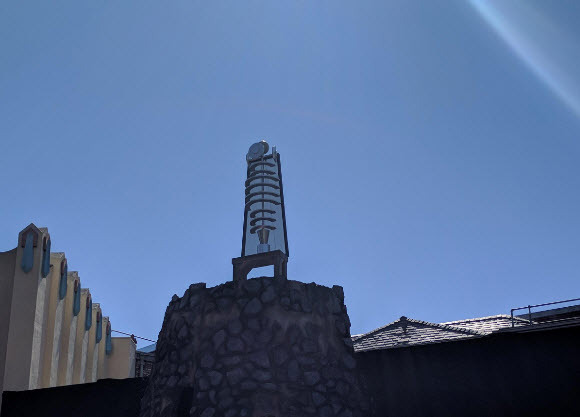 But as much as we’d like to see it happen, there are a couple of signs that HHN might not be changing course into more original territory any time soon. A guest survey sent out this season is asking people for their opinions about what they consider to be a “new” maze and whether having a maze return the next year is acceptable or not. In the early years of HHN, this was just standard–a maze would be around for a couple years before being replaced with something new. This happens at all the theme park haunts. But somewhere along the way, HHN began differentiating itself by being “completely new” every year. And that’s hard to sustain if you’re going to base your event solely on existing horror movie properties. So it seems Universal is considering “returning mazes” as an option. We’ll see what happens in 2018. First, we need to tell you about something that may change your life. 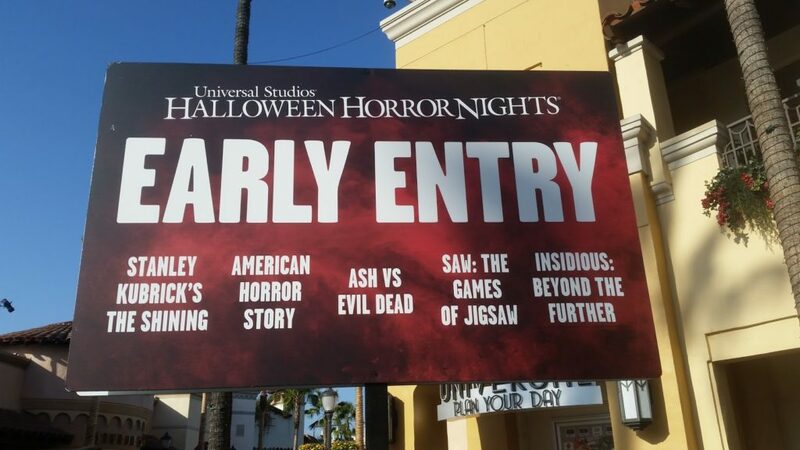 Or at least your HHN experience: EARLY ENTRY. If you don’t buy a front of the line pass, you MUST TAKE ADVANTAGE OF EARLY ENTRY. There is no charge for this. It’s free with your regular ticket. This brilliantly simple solution to the excruciating lines at HHN absolutely made our night and saved us tons of money. Not willing to fork over 200 bucks for the FOL pass, we decided to try out early entry. Here’s the deal: Get there EARLY, duh. On the night we were there, they opened the gates at 4:20 pm, and from what we understand, they closed them again at about 5:15. Everyone who enters the park in that window gets a wristband. You have to show your wristband to enter the mazes. The mazes in the lower lot (5 of 7 total mazes!) began opening at 5:15. By the time the park officially opened at 7 pm, we had done all 5 of the lower lot mazes, and we never waited longer than 20 minutes. These wait times jumped to 60-90 minutes once the park opened, so you can see what an advantage this is. We pray to the haunt gods that early entry will return next year. This maze combines the stories of Freddy, Jason, and Leatherface, but don’t expect to see them interacting with each other. Their stories are completely separated, using swirling colored lights to transition from one horror icon’s section to the other. The opening scene is the outside of a house on Halloween, perhaps a tribute to home haunters. We see a boy’s bedroom decked out in worship to these characters, and the boy himself is watching a triple horror feature on TV. So that’s how they they’re tying these stories together. The scenes for each of the icons are similar to what we’ve seen before: boiler room stuff for Freddy, campground scenes for Jason, and depraved butchery for Leatherface. The Jason sets do change it up a bit by focusing a lot on his “underground lair,” which was a big feature of the 2009 remake film. These icons return to HHN year after year for a good reason: They’re scary. And the actors didn’t disappoint here. We had some great scares. However, this was the last maze of the night for us, and the longest line, and there were several spots inside where the “conga line” was in full effect. This is the other maze on the upper lot, and it takes you through scenes from The Purge, Happy Death Day, and Sinister. The Purge section begins with an outdoor portion that’s very similar to last year’s Purge scare zone. 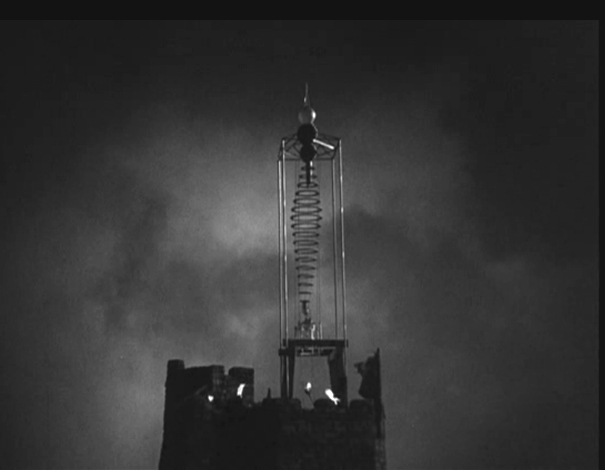 Urban depravity and creepy creeps terrorize from behind barrels, busted police cars, and illuminated American flags. Although not too scary to us, the imagery and lighting is effective. After a short indoor section of hanging bodies, etc., you leave the Purge and enter a movie theater for “Happy Death Day,” Blumhouse’s horror offering in theaters this October. Because the movie hadn’t even been released yet when we went, we had only vague knowledge of the overall story line. But even so, we found this part of the maze to be scariest, with more suspense and jump scares than the other portions. Freaks in baby masks were coming at us from all sides. However, the maze didn’t really make us want to see the actual movie, as some of it just reminded us how annoying college students can be. The Sinister scenes are darker, and there are a couple of well-known moments from the film re-created in disturbing detail. This had a more atmospheric feeling and not a lot of scares for us. Although we did get one of the best scares of the night in here (involving a projection screen), and although it’s exciting to get three themes for the price of one in this maze, we felt that the overall tones of the films were too different, leading to transitions that were too jarring and not allowing us to get that build up of suspense that makes a maze successful. Insidious returns to HHN this year, this time featuring scenes from the new movie…which won’t be released until January 2018. But if you’ve seen the other Insidious movies (or have been through the mazes), the general story will be familiar enough. We’ve always enjoyed the Insidious mazes, and this year was another impressive incarnation. With its creepy atmosphere and excellent scareactors, we got quite a few scares in here. The addition of a couple of video screen effects was interesting but felt a little jarring in a maze with a traditional “haunted house” feel. Full disclosure: We never got through the entire season of Roanoke last year. But it turns out that didn’t matter much, because this maze tops our list as the best HHN maze of 2017! This maze also uses video screens, which seems to be a growing haunt trend this year. 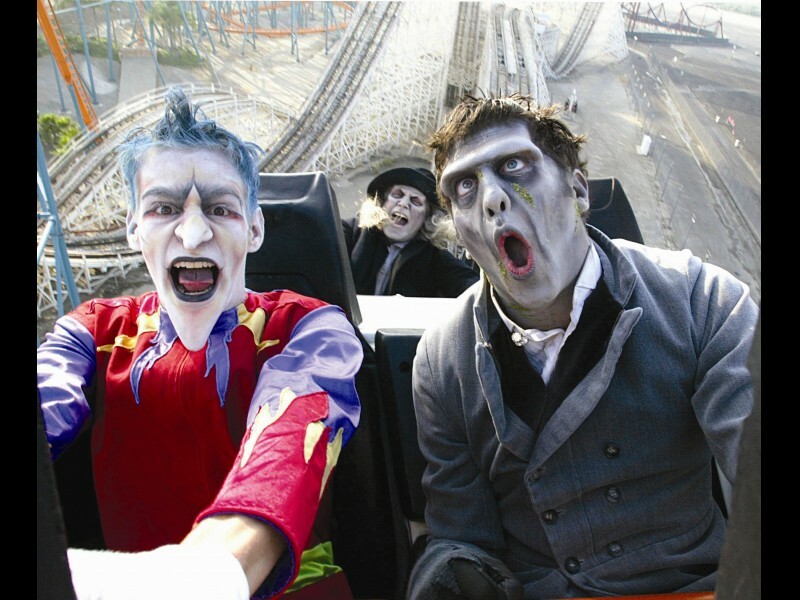 But its strengths are in the impressive attention to detail, theming, and well-positioned scares. The maze begins with a stroll through depraved outdoor scenes in the colonial village, followed by an entrance into the house, where we were assaulted by a diverse cast of ghoulish characters. The actors were relentless when we walked through, seemingly coming within centimeters of our faces with their axes and knives. This maze really caught us off guard, maybe because our expectations were somewhat low. But we love the pleasant surprise of an absolutely terrifying and well-done maze. This was probably the most highly anticipated 2017 maze, as fans have been clamoring for something from Stephen King for years, and The Shining has certainly been on the top of that list. With Stephen King ruling all aspects of the media this year, it was the perfect time for HHN to take advantage of his popularity. This maze was an impressive adaptation of the Kubrick film, representing all the most crucial scenes. Key audio components were re-created, and scents were added. The Jack Nicholson masks were just a tiny bit “off” in their resemblance, but it totally worked in providing an uncanny feeling to the scareactors. Once again, this maze used a few video screens, and this might be our only complaint. The much-touted “Blood Hallway” scene was a complete failure. We were hoping there was just a glitch with the effect during our walk through, but alas, online videos show otherwise. The close-ups of the twins on the video screen completely ruined the illusion of walking through the actual hallway. There are no close cuts in real life; using clips from the movie here was just an instant reminder that you were looking at a video screen. We know this was a highly ambitious maze and appreciate the attempt to incorporate projection technology. But overall, we feel that the projections only detract from the mazes and hope they don’t return next year. With a lot of sight gags and goofy characters, this maze was a little more fun than scary. 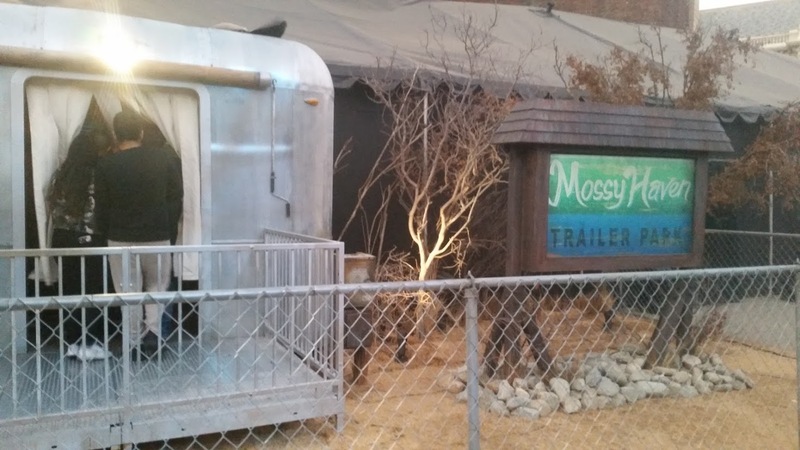 You enter the maze through Ash’s trailer, where the evil dead begin attacking immediately. Instead of being scared, we found ourselves consumed by looking at all the crazy details of the scene. After making it past Grandma Dead, the maze opens up to an outdoor scene, followed by an entrance into the notorious cabin. This maze has a lot of standard HHN “door” scares and few dark passageways that also seem to be used more frequently in HHN mazes as transitions between scenes. 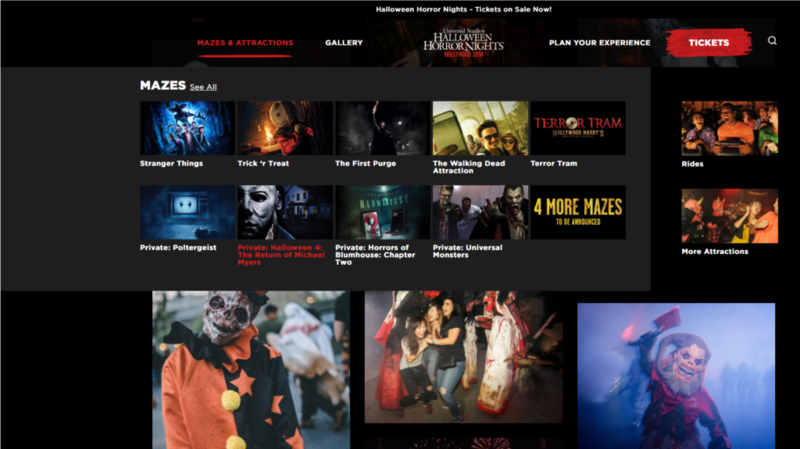 Jigsaw returns to HHN this year in a maze showcasing the best “games” of the series. Since we’ve seen the other iterations of Saw at HHN, much of this maze looked familiar to us, from the pig-faced creeps, to the face traps, to the water torture, to the bathroom scene and the return of its unholy stench. If you’re a fan of Saw, you’ll probably love this maze and its “greatest hits” feeling. Also included is a trap from the new movie, which was probably the best, visually. We didn’t find this maze too scary, but its gore and “ick” factor are enough to put you on edge. 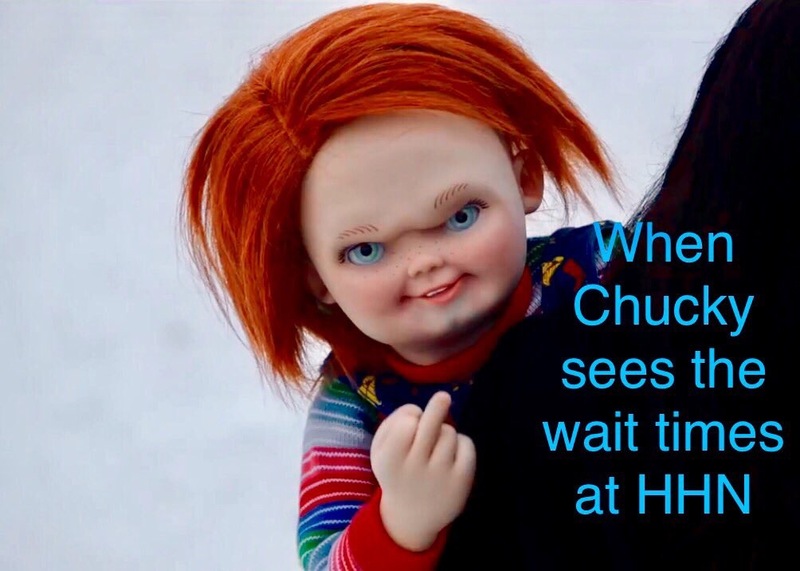 Chucky is back to hijack the Terror Tram and, of course, promote his new Netflix movie. The tram also features appearances by Jason (Bates Motel scene), Freddy (War of the Worlds set), and Leatherface (sheet maze area). There’s not a whole lot to say about the tram that hasn’t been said in previous years, but one thing that stood out to us was the fact that there were no chainsaws in the Texas Chainsaw Massacre scenes! We can easily guess this is because of noise complaints from nearby residents in previous years. But chainsaws are used earlier in the tram (which is farther from the homes on the hill), so perhaps they should’ve had Leatherface swinging the chainsaw as you get off the tram rather than Chucky. The tram is fun, but it’s never scary to us. But it’s a good way to get off your feet for a few minutes. We had a blast at HHN this year, and a lot of that was due to Early Entry. Without having to pay the exorbitant price for Front of the Line, the Fright Value for this event has gone way up this year. The mazes were well done, and some were terrifying. On the downside, the scare zones were scaled back (and not worth a review this year), and the return of several properties (which themselves date back to the 1970s-1980s) made the event feel a bit stale. We hope to see more original concepts next year, but we know that whatever the maze theme, the attention to detail will be unmatched by any other haunt out there.